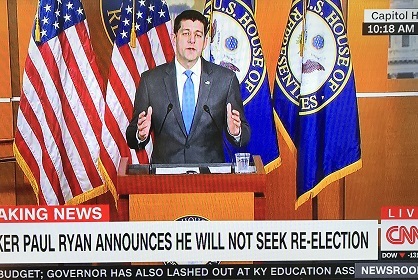 GREEN BAY - CNN is reporting this morning that GOP Speaker of the House and Wisconsin 1st District Congressman Paul Ryan (R-Janesville) will not seek re-election in November. According to the New York Times, Ryan told the House Republican Conference Wednesday that he will serve as Speaker until end of this Congress in January. While his term as Speaker has been brief, Ryan has served in Congress for 20 years. He also was the Republican candidate for Vice President in 2012. Ryan reportedly cited personal reasons, including family, as his reason for quitting at this time. His departure is sure to kick off a succession battle for the leadership of the House Republican Conference, with the Times reporting House majority leader, Kevin McCarthy of California, and the House majority whip, Steve Scalise of Louisiana as the most likely candidates. "It could also trigger another wave of retirements among Republicans not eager to face angry voters in the fall and taking their cue from Mr. Ryan," according to the Times. It is also possible that several of the House supporters of President Donald Trump, including Scalise, could attempt to unseat Ryan as Speaker before his announced departure. 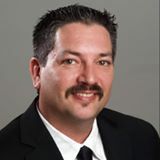 Democrat Randy Bryce of Racine has been running a strong campaign to unseat Ryan back here in Wisconsin. Democratic strategists here and across the nation believe the divisive age of Donald Trump in Washington may lead to a "Blue Wave" in November. Some also think that the Republicans have lost touch with most mainstream Americans, many of which had supported Ryan in the past. "His retirement is an admission by Speaker Ryan that his constituents do not approve of tax cuts for the rich at the expense of Medicaid, Medicare and Social Security. Ryan could not win over his constituents to his damaging tax plan, let alone the nation," said Democratic Party of Wisconsin's Chair Martha Laning on news of Ryan's retirement this morning.